It looks like we are headed towards cheaper mobile money services and lower broadband prices if the State’s word is anything to go by. According to a report in the Herald. the government has directed the Competition and Tariffs Commission to investigate mobile transfer costs after there were concerns raised about the steep pricing structure. All this was disclosed by the Minister of Industry and Commerce Mike Bimha who also mentioned how MNOs have been called on to reduce broadband service charges. Needless to say if these changes do take effect they will cut into the revenues of the MNOs that are already facing the challenges of a tougher economic climate and rapidly evolving business model. So why does the Ministry of Industry and Commerce want to wade into POTRAZ and RBZ territory anyway? Apparently these are efforts to improve Zimbabwe’s competitiveness which has been affected by poor delivery in areas like tariffs and information technology. It’s no secret, Zimbabwe hasn’t been fairing well as a country in terms of attractiveness for doing business. The World Bank’s Doing Business Report of 2013 put us at 170 out of 185 countries, a ranking that appears to have set of alarm bells. In the latest World Bank Report bench-marked at June 2014, Zimbabwe is ranked at number 171 out of 189 countries on the same Global Index for Ease of Doing Business, which is sadly a poorer position than last year’s slot. It’s a bit of a no-brainer here; the review of tariffs that affect trade and economic activity on a large scale always set the right tone for doing business. 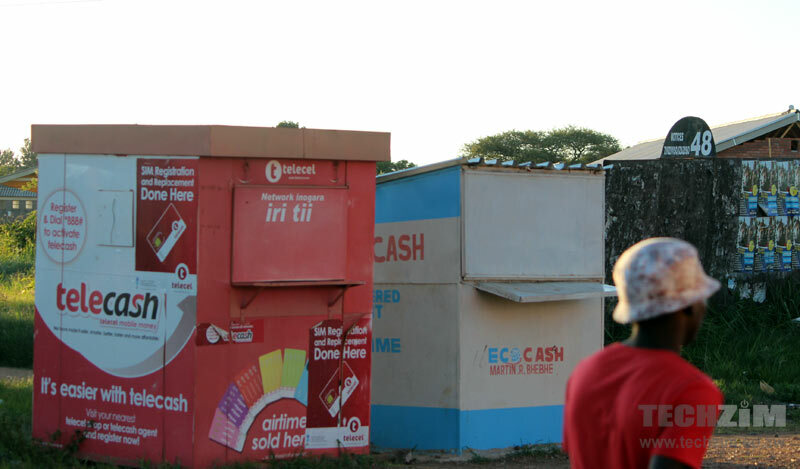 It’s even more apparent in the Zimbabwean case where formal banking has been dwarfed by mobile money services like EcoCash and telecash. Mobile money has been cited as one of the focus areas for the improvement of business activity, something which makes sense considering that the greater part of informal trade is being facilitated through it. Broadband pricing also comes into play here, and if the looming downward review of tariffs does happen sooner rather than later this could help ease the burden aligned with communication costs. In the case of online businesses and tech startups its an even bigger boost as operational costs are lowered and more importantly the potential market grows as internet becomes affordable to more people. The adoption of a new pricing model for telecoms services has been on the cards for a while now. If the recommendations on infrastructure sharing that feeds into this are anything to go by, it looks like in 2015 subscribers will get the reduction that they have been waiting for. All this appears to be part of the Broadband Plan that POTRAZ has scheduled for 2015 which will be the document that outlines all of these adjustments. What else needs to be addressed? Lower internet tariffs and cheaper EcoCash transactions won’t do the trick on their own though. Technology should be used to make other aspects of business easier. One very important consideration rests with registering businesses which should be done online. The process becomes faster and encourages the formal registration of informal enterprises if it becomes less painful to set up a company. This is now being noted as a worldwide best practice for any country that wants to boost formal entrepreneurship and has been adopted by other African countries like Rwanda. Another area is the e-payment of taxes. It’s already started happening in other parts of Sub Saharan Africa, with Kenya recently introducing an mVAS for this. “Apparently these are efforts to improve Zimbabwe’s competitiveness which has been affected by poor delivery in areas like tariffs and information technology. Is this not finger pointing? I personally think it is more to do with your Indigenisation policies than MNO tariffs. I get kind of frustrated when people say ‘mobile money tariffs are too high’ and they don’t state a comparison to other modes of money transfer available, let alone even debate the cost structure. We can egg on these price cuts, but we need to worry about them a bit more. Surely arbitrary price cuts with no trade-offs for businesses are what hurt a lot of our businesses in 2007-8.
with you on registering companies online it also curb corruption that has been rampant at the registry of companies, We lag far behind on information and technology ,I wonder what the ministry of information and tech is doing. We need such steps to curb this game of internet service providers stealing our hard earned money.